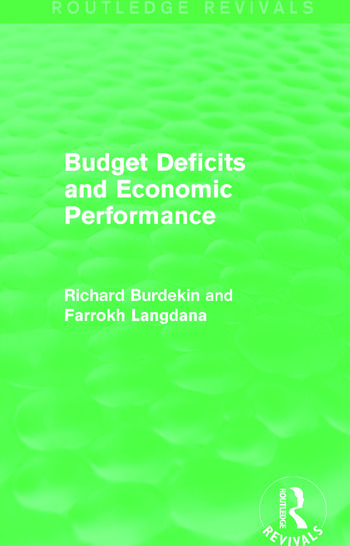 At the time in which this book was first published in 1992, there was a major concern with the macro-economic implications of fiscal imbalance. As the European economies moved closer to monetary union, and Germany grappled with the fiscal pressures of unification, deficits in the United States exceeded $300 billion. In this volume the authors address this issue, using both historical case-studies and cross-national comparisons. This book will be of interest to students of economics.